All youth must be accompanied by a responsible adult. No youth under the age of 9 may attend. 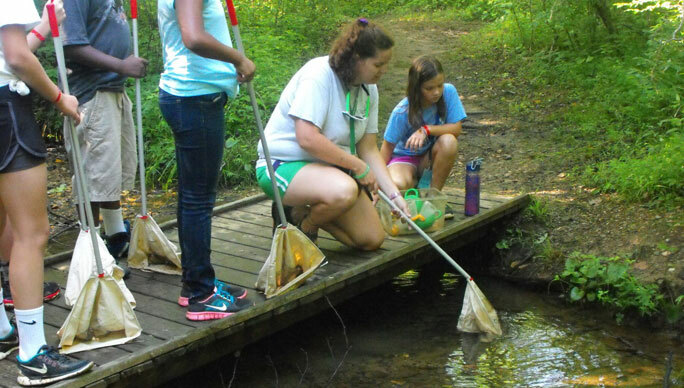 Wildlife Habitat Education Program (WHEP) is a hands-on enviornmental education program for 4-H and FFA youth. WHEP will immediately follow Natural Resource Education Weekend progamming. WHEP Registraion has a seperate registraion form. All workshops and activities are subject to change based on the availability of instructors. Classes are assigned on a first come first served basis upon arrival at the 4-H Center. Some classes will be offered to youth ages 12 and up depending on the subject matter of the class. The State Wildlife Habitat Education Program (WHEP) Contest will be held Sunday after lunch. See www.whep.org for contest information.